The most wonderful time of the year for fashion people has come and gone. September was the month of fashion with designers showcasing their latest creations from New York, London, Milan and Paris. The bloggers, editors, and it girls flaunted their best looks in between the shows. 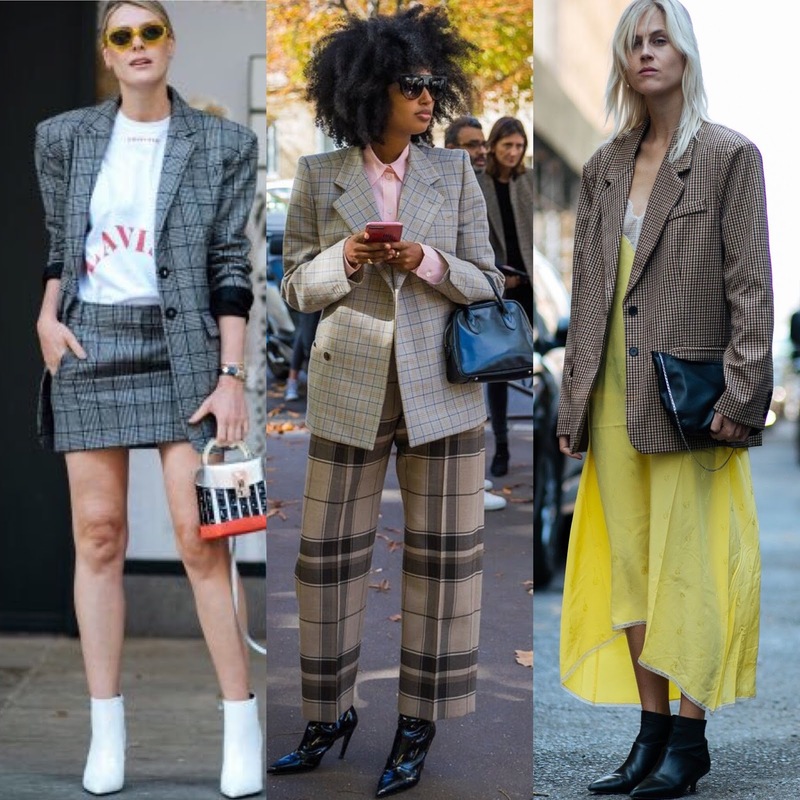 The street is one of the best places we can get some fashion inspiration so let’s read on to see what were the top street style trends from fashion month. 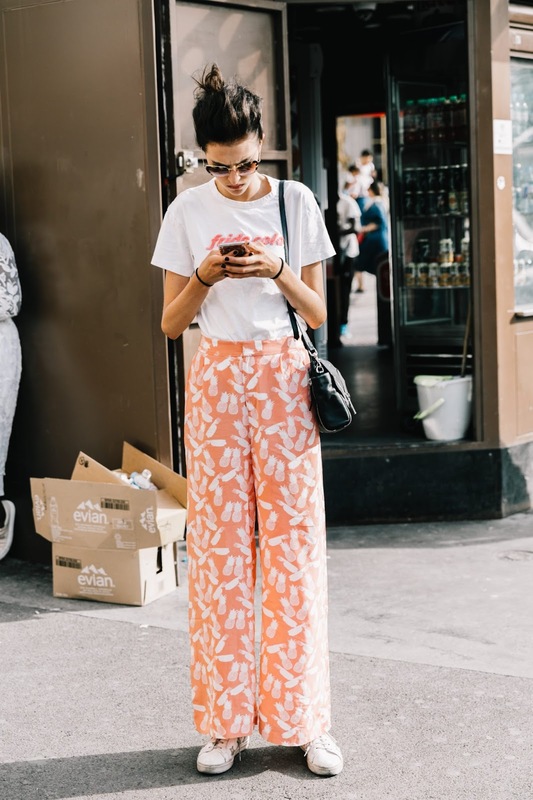 These typically are colours a lot of people stay away from because ‘it’s not their colour’ but they were constantly seen on street style stars everywhere. 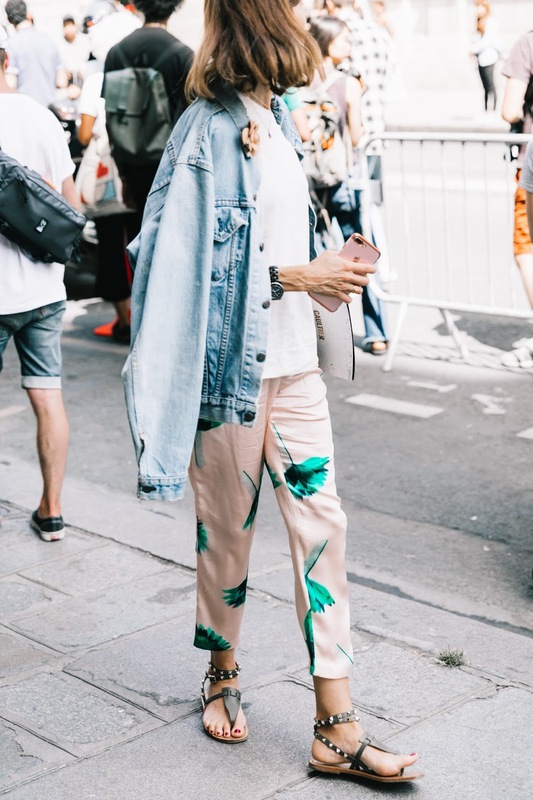 Rocking bolder shades from head to toe or in small doses say in form of an accessory like a handbag are the way to go when rocking these colours. 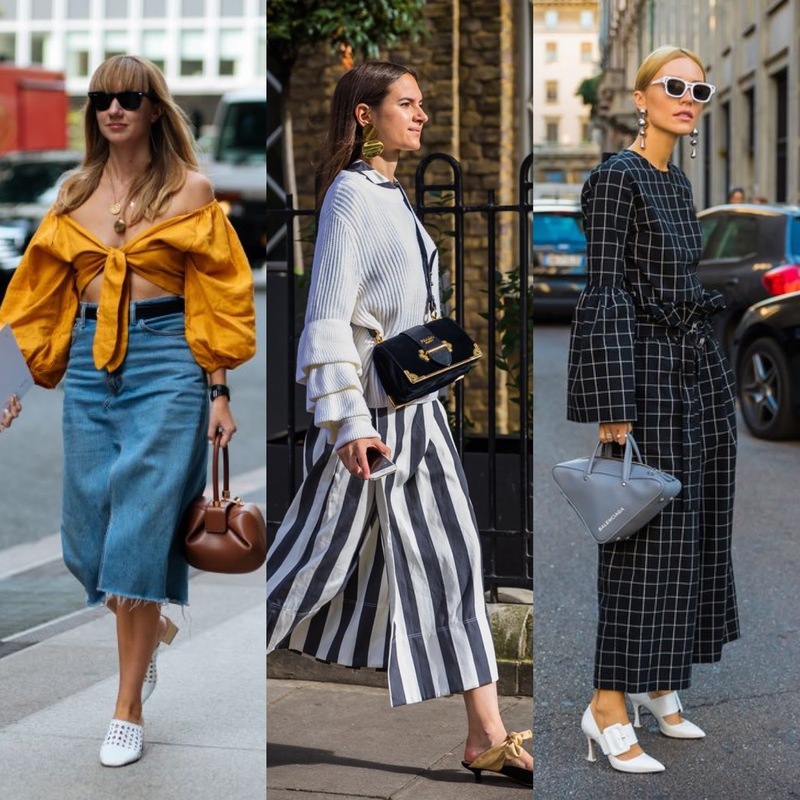 Bold sleeves have been a huge trend this year and there was no sign of it stopping during fashion week. There were ruffle sleeves, puffy sleeves, and oversized. If you want to make a statement with little effort, this is the way to go! One of the hottest trends for fall and big on the street is the plaid blazer. Power dressing is coming back and ladies are making a statement in structured menswear inspired looks. This is a perfect trend to experiment with your work look. 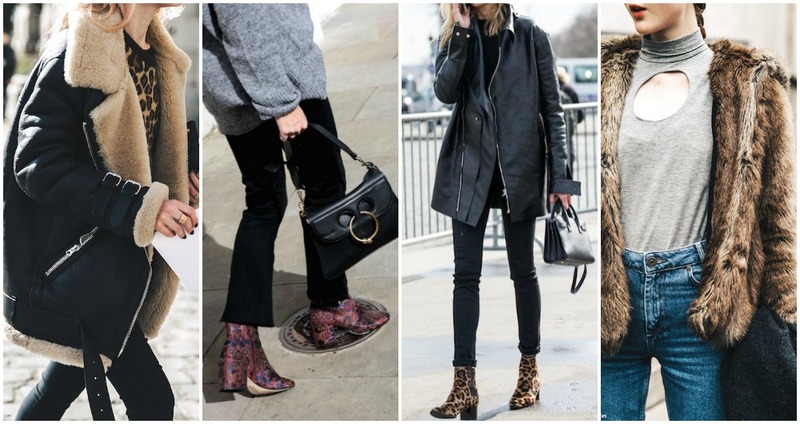 The ankle boot is always a staple come fall, but this season we saw a lot more pointed toes in slick patent leather, suede, and sock boot textures, from sleek black, bold red, to bold white. White ankle boots were huge! Once a fashion faux pas, fanny packs are now a fashion must have especially for the fashion week crowd. With good reason too, fanny packs are convenient with their hands free feature and are an easy way to add a pop of colour or texture to your look. 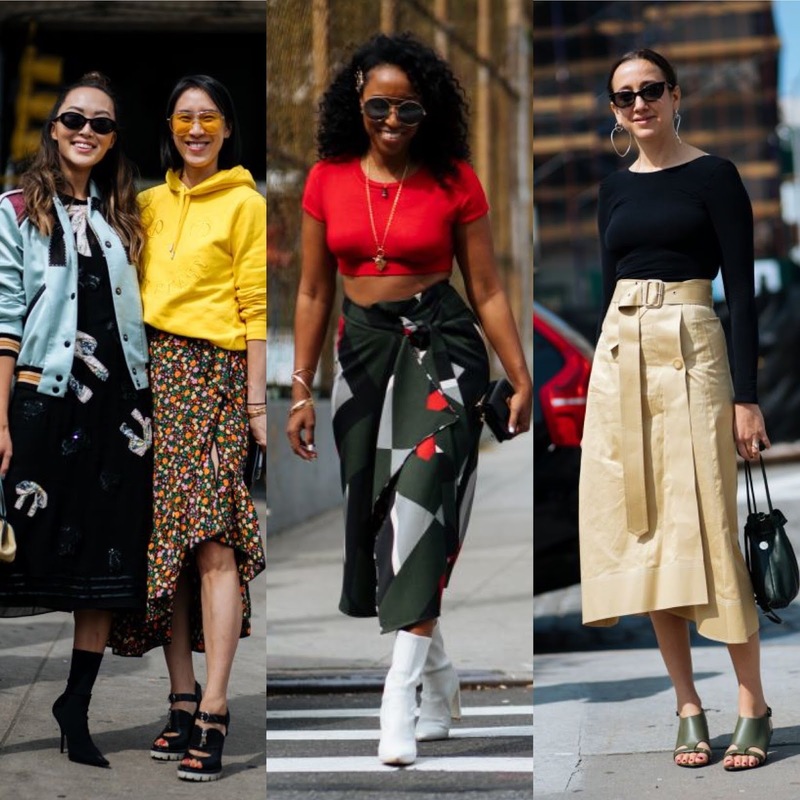 Midi skirts were everywhere this fashion week. 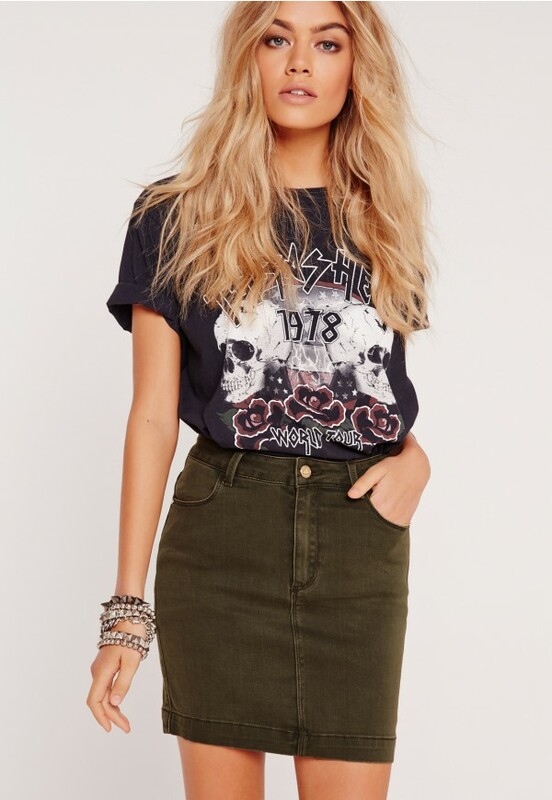 Nothing screams classy and demure quite like this skirt length. 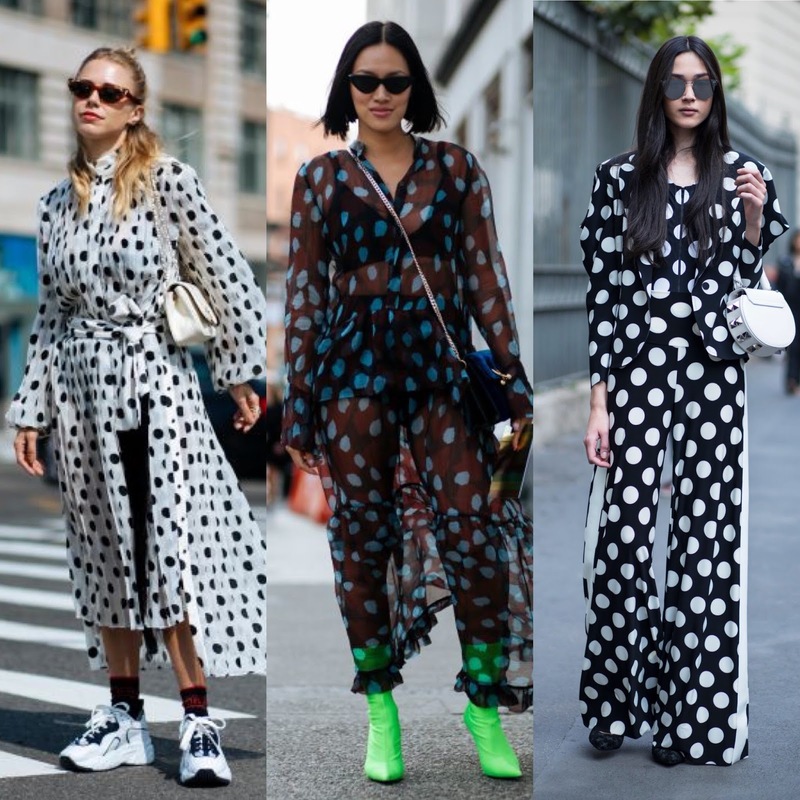 A huge trendy print from summer has travelled to the fall with fashionistas wearing these prints in flowy tops and dresses. This quirky print was also featured on skirts and jumpsuits as well. About the author: Zoe Phinazee is a Street Style Blogger at Zoevogue.com. Besides fashion and blogging, she enjoys doll crafts, Marvel films, and mac 'n' cheese! Here are a few outfits that I really love, all featuring an awesome printed piece (or two). I am very much in a style rut at the moment so I thought a bit of inspiration might help! I'm off to Leeds Festival tomorrow and I'm looking forward to planning an outfit around some bold prints. I've had a migraine past couple days but it's eased off today so hopefully it will be gone by tomorrow! 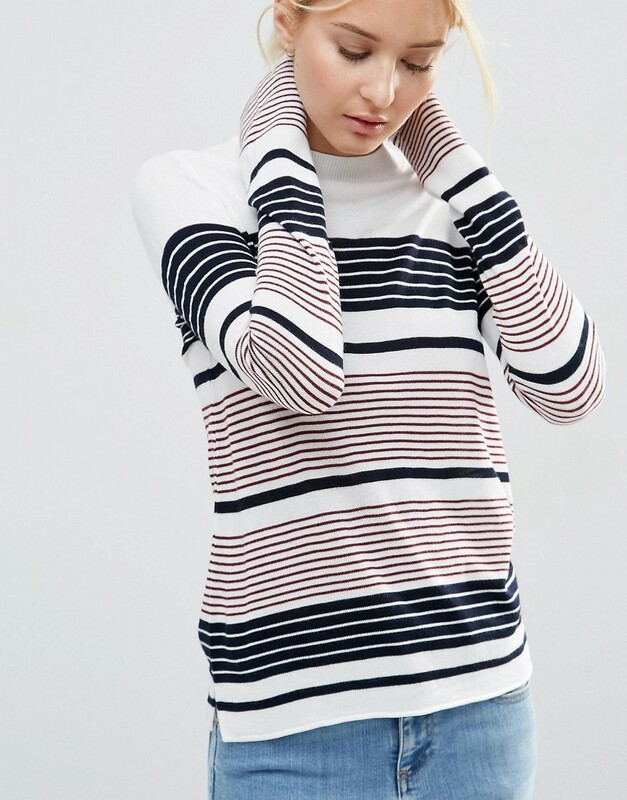 Missguided never fails when it comes to dressing the effortlessly cool. It stocks the latest trends and the models give us serious outfit inspo! We are seriously lusting over so much, but we've managed to narrow it down to just a few! 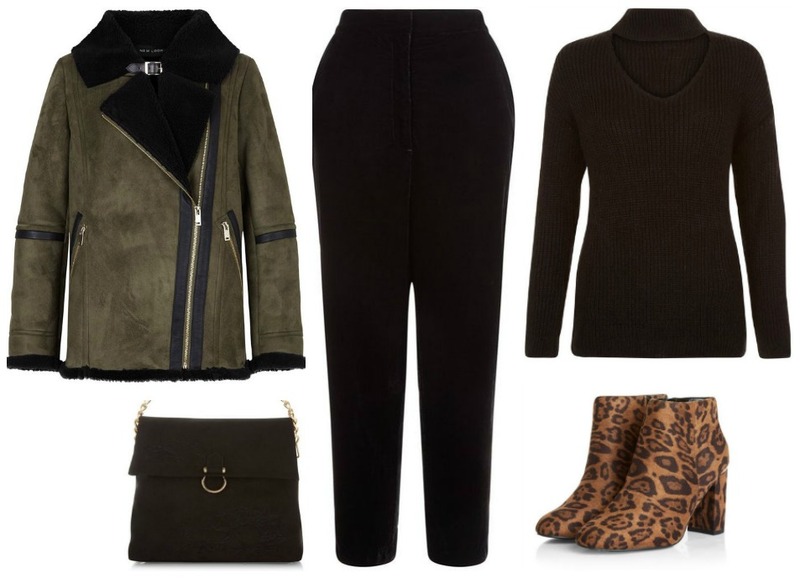 Shop the following looks at the end of the post and tell us your fave! 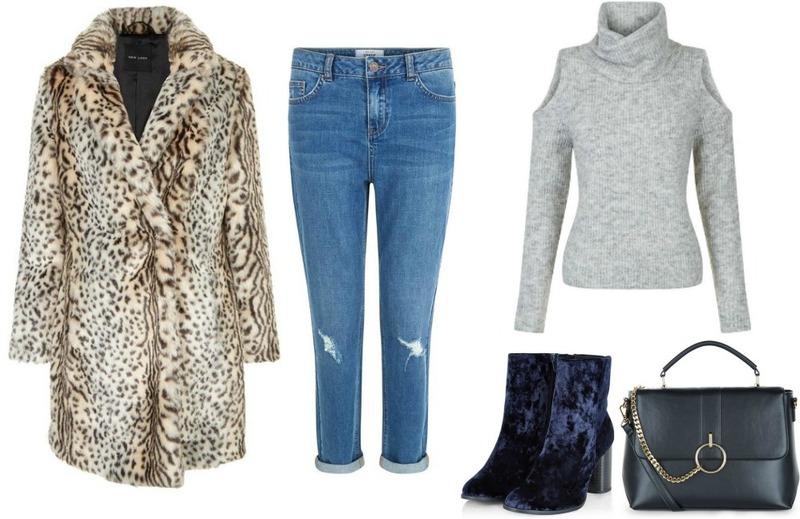 One of our favourite things about autumn/winter is the addition of faux fur to our wardrobe! 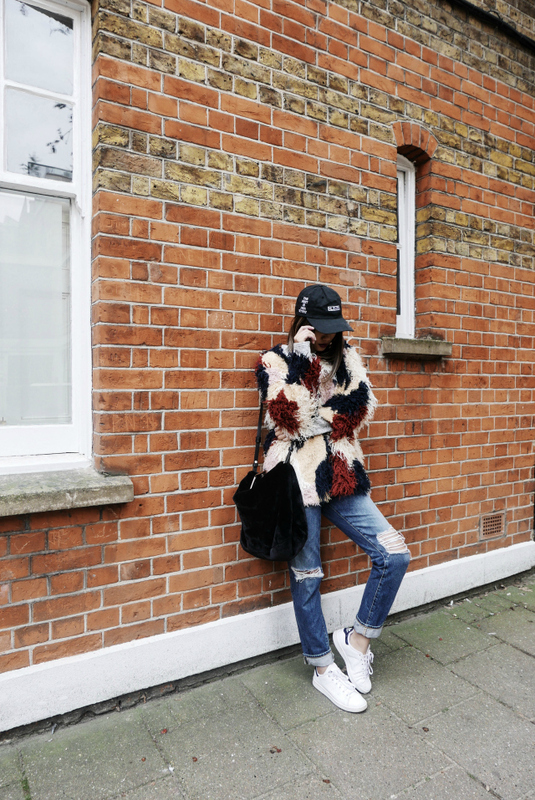 We love this look by Yanin from idressmyselff, she dresses down her shaggy faux fur coat with a simple lightweight jumper, a pair of boyfriend jeans and some trainers. 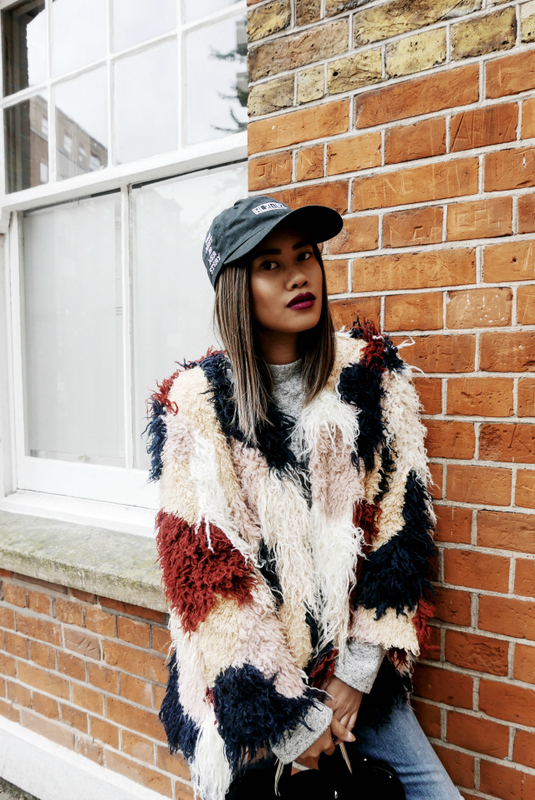 Yanin finishes the look with a faux fur bag and a black cap. I'm sure you love a good sale just as much as we do! 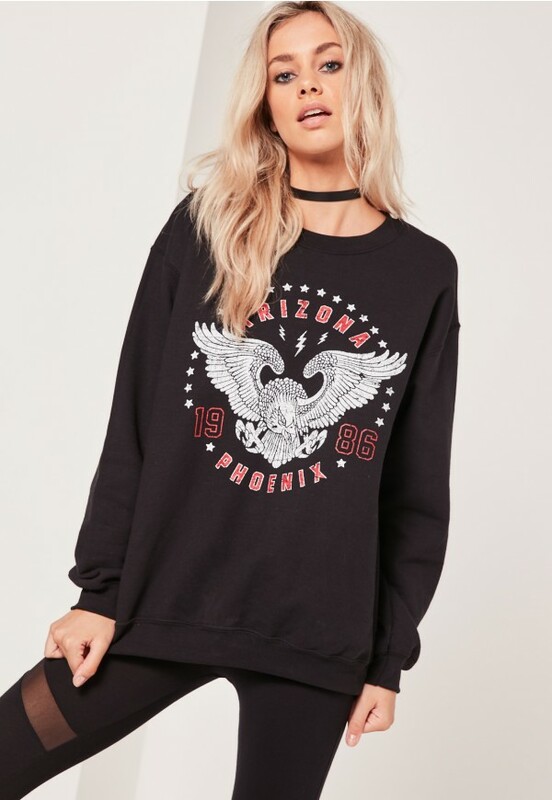 And if your wardrobe is calling out for some new layering pieces perfect for Autumn, then this sale was just made for you!